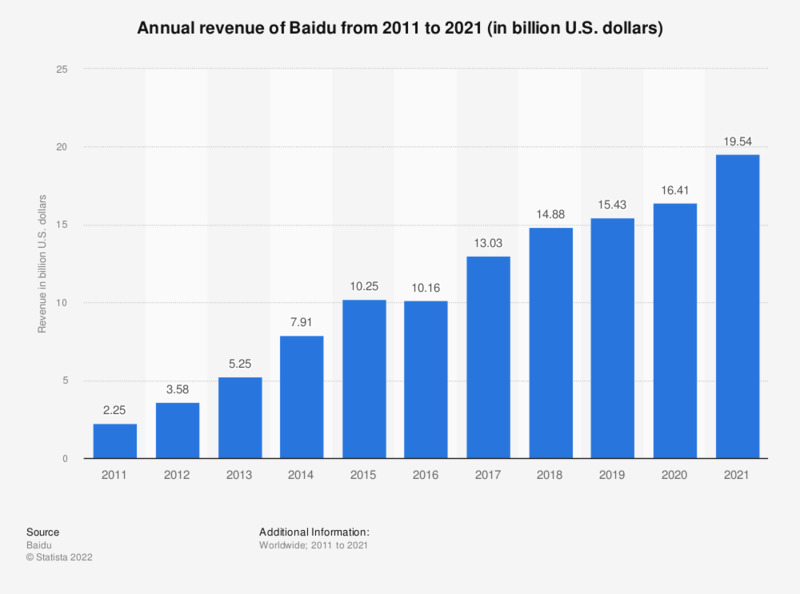 This statistic shows the annual revenue of the Chinese search engine Baidu from 2008 to 2018. In 2018, Baidu's reported revenue amounted to 14.88 billion U.S. dollars. The majority of revenues were generated through online marketing services.